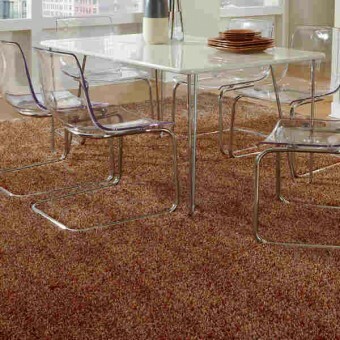 Swag is a stylish multicolored shag rug from Tuftex Carpets of California. The unique yarn combination integrates a beautiful blend of luster, color, and texture. 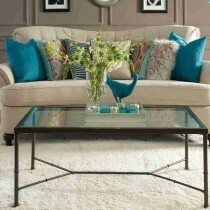 The creative mixture of color creates a sophisticated, yet playful look for every décor. Each of the eighteen color ways have been custom blended to create a stunning color palette. This marvelous blend of color, luster and texture will create a fashion statement in any room in the house. Swag is designed with a combination of four distinct accent yarns, each with its own special color combinations known as pearl, diamond, bronze, and amber. These accent colors will allow you to easily coordinate with other finishes in your home.